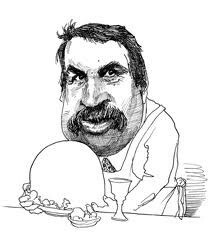 Thomas L. Friedman may be the journalist who has the most influence on the way the outside world understands the Arab-Israeli conflict. His reporting in the 1980s for The New York Times from Lebanon and Israel was widely cited and won him two Pulitzer Prizes. His 1989 book From Beirut to Jerusalem was a huge best-seller and won a prestigious award for nonfiction. As the foreign-affairs columnist at the Times since 1995, Friedman has a prominent platform to expound his views. Given his importance and the originality of his ideas on Arab-Israeli relations, Friedman's analysis of this topic deserves a look. His signature concept is applying globalization theory to the conflict. "Globalization" is shorthand for aligning one's educational, financial, and governmental institutions in line with the demands of the international marketplace, so to compete effectively in the world economy. If Arabs and Israelis would concentrate on fulfilling the imperatives of globalization, he argues, they would not only live better but also find themselves too busy making money to hate each other. Computers, the Internet, prosperity, and modernity are his solution to nationalistic feuding. Educating one's children beats having them throw rocks; raising one's standard of living means more than maintaining sovereign control over holy places. In brief, economics trumps politics. Friedman's writings often argue this thesis. A visit to southern Lebanon after the May 2000 withdrawal of Israeli troops, for example, prompted him to declare that war with Israel "is over as far as Lebanon is concerned." The occupation done with, old hatreds could now "be balanced by other interests and aspirations for growth." "Underneath the old, encrusted olive-tree politics of this region," he writes, "is another politics bursting to get out, to get connected and to tie into the world of opportunities." Friedman's favoring of policies that disentangle Arabs from Israelis cause him to lavish praise on former president Bill Clinton for doing "the Lord's work" by pushing the parties so hard to reach an agreement. Unfortunately for Friedman's thesis (and Clinton's Nobel Prize aspirations), many Middle Easterners are still preoccupied by those "encrusted olive-tree politics" he has relegated to the dustbin of history. For a while, the columnist could blow them off as irrelevant anachronisms. Thus in 1999 he dismissed Hafez al-Assad, the late all-powerful Syrian dictator, as "the leader of a failing state" and (no less) as "a deer frozen in history's headlights." Of late, Friedman has woken up to Middle Eastern realities. How could he not? The intifada, which has cost the Palestinians hugely in economic terms, reveals how destroying Israel remains a higher priority to them than the good life. To make sure none of their money reaches Israel, Egyptians are back-pedaling from the world economy. Saddam Hussein opts for weapons of mass destruction over a decent life for the Iraqi people. To his credit, Friedman has candidly acknowledged his mystification. "I don't understand" the Arab masses' enthusiasm for Saddam, he writes. Palestinian violence has left advocates of the Oslo process, he admits, "feeling like fools." "Goodbye, Syria. Goodbye, Nasdaq. Hello, oil crisis" is his bewildered response to Syrian saber-rattling along the Lebanese border with Israel. Actually, his puzzlement runs yet deeper, to the very premises of globalization: "What troubles me most about the mood on the Arab street today is the hostility I detect there to modernization, globalization, democratization, and the information revolution." Why, he wonders, are Egyptians, Palestinians, and Iraqis unwilling to forgo political dreams for a nice apartment and a late-model car? The answer is simple. Arab hostility toward globalization was there all along but Friedman (along with Clinton) did not want to see it. He overlooked the Middle East's realities and instead imposed onto it an alien pattern. 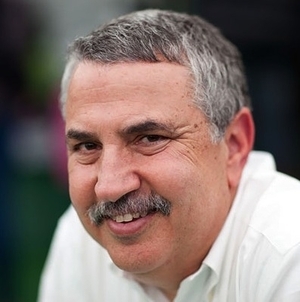 Sadder but wiser, Thomas Friedman is learning a deep truth about the Middle East. This is one region where politics trumps economics. Feb. 14, 2001 update: For my earlier and later writings on Friedman, see "From Beirut to Jerusalem" and the updates that follow the book review's text. June 24, 2013 update: Barry Rubin condenses my argument above into a single sentence: "Understanding that Friedman doesn't understand the Middle East, though he has persuaded a big audience otherwise, is the beginning of wisdom on the region." Bingo. Related Topics: Arab-Israeli debate in the U.S., Media | Daniel Pipes receive the latest by email: subscribe to the free mef mailing list This text may be reposted or forwarded so long as it is presented as an integral whole with complete and accurate information provided about its author, date, place of publication, and original URL.